What CFast and SD cards should I use? A list of compatible media can be found here. Are B4 lenses my only options for this camera? 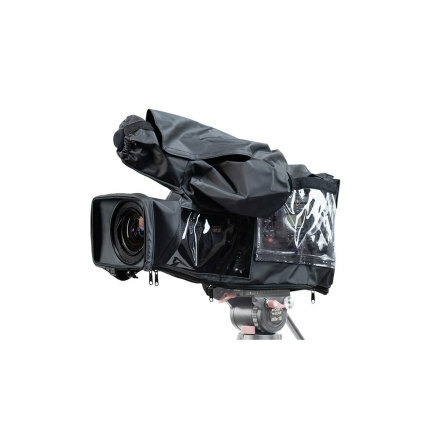 The URSA Broadcast comes with the B4 mount but you can purchase PL, EF and F mounts separately. 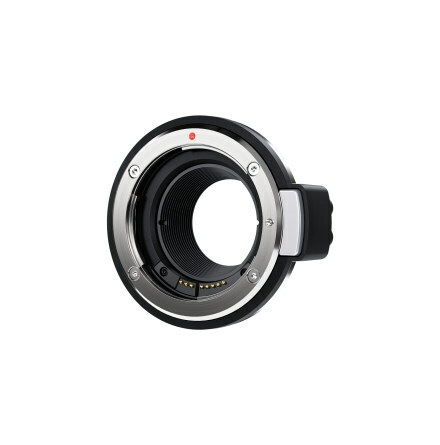 This allows you to replace the B4 mount to use with a variety of cinema and photo lenses. Are you able to shoot in 4K if using SD or HD lenses? Yes you can, but these lenses don’t have the same optical qualities as a 4K lens. Does the URSA Broadcast have a global shutter? No, it has a rolling shutter. Can I use the USB connection to read and transfer the recorded files? No, the USB interface is only for firmware updates. 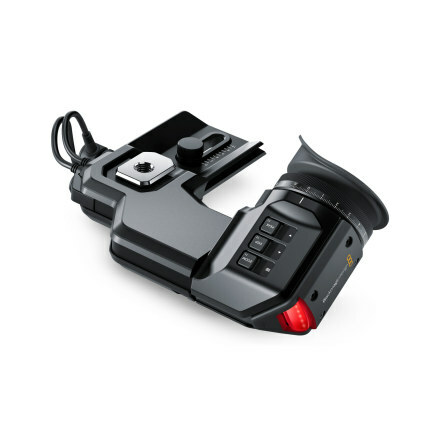 Do I need the URSA Mini Shoulder Kit to mount the URSA Mini Studio Viewfinder? 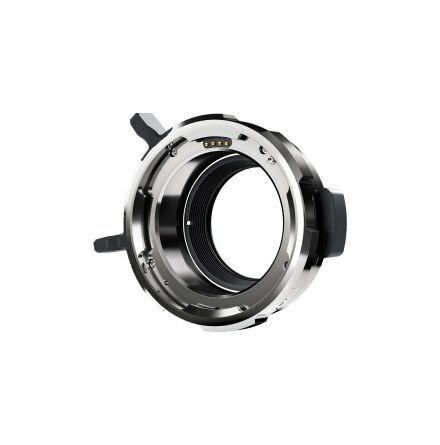 If you are not using the Camera Fiber Converter you do need the URSA Mini Shoulder Kit, which allows you to mount the Studio Viewfinder on the top handle. 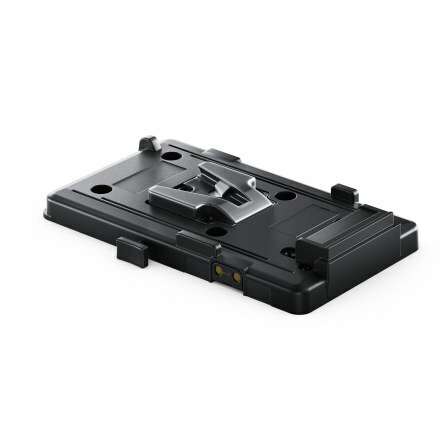 If you are using the Camera Fiber Converter, this features a receiver on top for the viewfinders wedge mount. 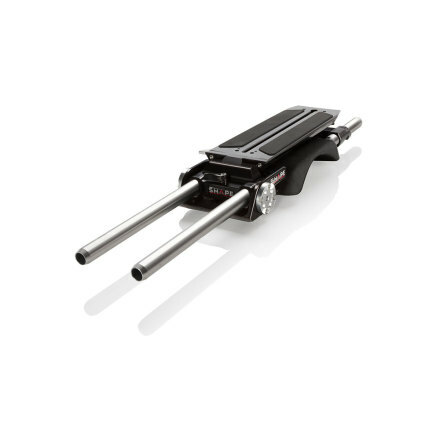 How do I mount the URSA Viewfinder to the camera? 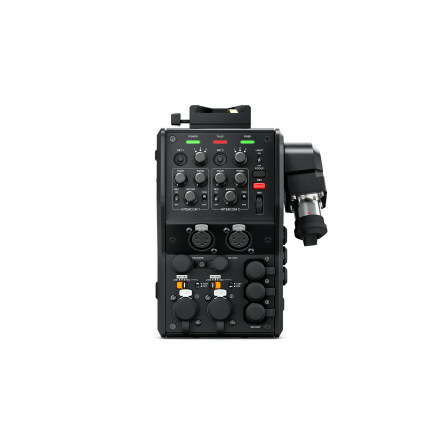 You need the URSA Mini Shoulder Kit for the URSA Viewfinder to mount properly. 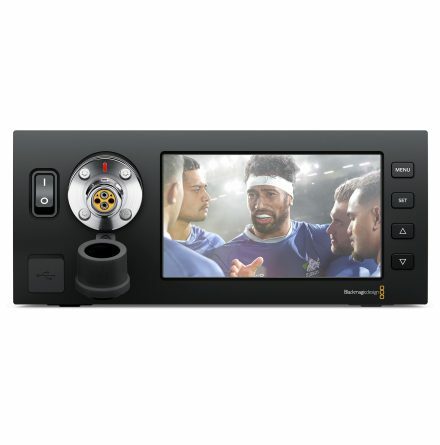 Please see the “Blackmagic URSA Viewfinder” section in the camera manual for details. Does this camera attach to a VCT quick release camera plate? 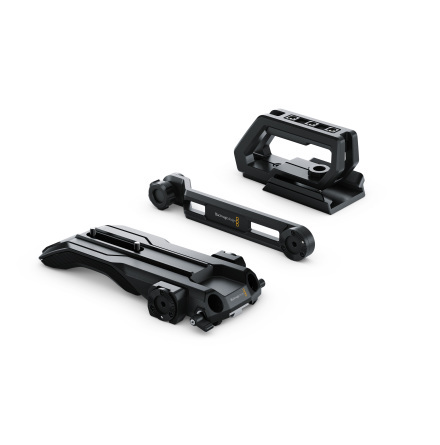 The optional URSA Mini Shoulder Kit features a VCT wedge on the bottom and is compatible with standard VCT quick release plates. This accessory is purchased separately. Natively the camera has 1/4 inch threaded holes on the bottom for mounting plates to be screwed on to the camera directly. 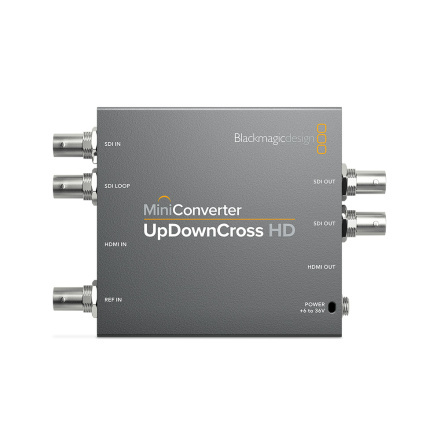 Is the Camera Fiber Converter a must for full control and talkback of the camera from an ATEM Switcher? 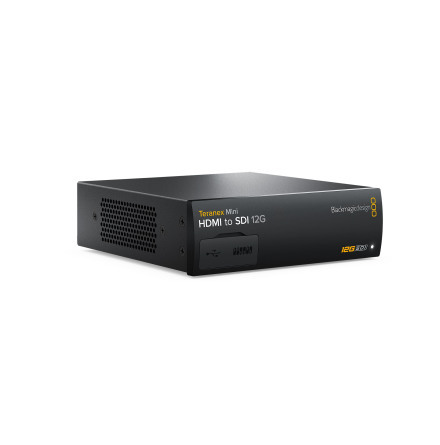 No, you can access camera control from your ATEM via SDI. 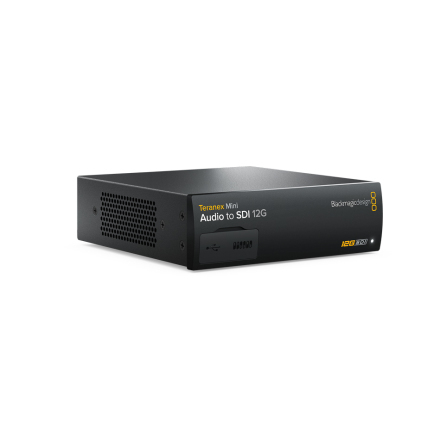 Apart from the SDI going from the camera to the switcher you need an SDI output from the switcher to go to the camera SDI input. You will not obviously not have the same connectivity as the fiber converter offers. For talkback you can use the cameras headphones connection to connect a standard 3,5mm TRRS headset, eg smartphone headset.